During the New Deal, the Works Progress Administration funded three new post offices in Montgomery County, Maryland. Each structure reflected local materials and architecture, and artists were hired to paint local historical scenes in their lobbies that would boost civic pride and encourage people to learn about their history through public art. Silver Spring holds the distinction of having the first federal government-constructed building located in Montgomery County – the 1936 Silver Spring Post Office, at 8412 Georgia Avenue. This New Deal-era post office itself held the honor of being the first of three post offices in Montgomery County to feature a work of public art, a mural titled “The Old Tavern” by Nicolai Cikovsky. The mural was located in the post office lobby from 1937 to 1981 when removed from the wall, placed in storage, and forgotten. Silver Spring historian Jerry A. McCoy relocated it in 1994 and brought it to the attention of the Friends of the Silver Spring Library, who raised $25,000 for its conservation and installation in 1997 at the Silver Spring Library, 8901 Colesville Road. In 2015 the mural was relocated to 900 Wayne Avenue with the opening of the new Silver Spring Library. The Classical Revival style Bethesda Post Office, at 7400 Wisconsin Avenue, was designed by Karl O. Sonnemann and built by Sofarelli Brothers in 1938 using locally-quarried Stoneyhurst stone. The mural was installed the following year. 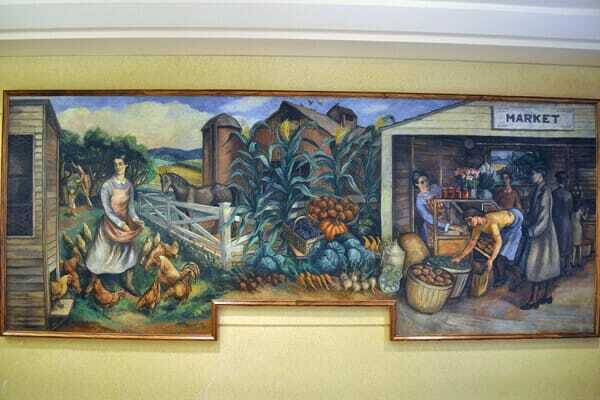 The painting shows a woman feeding animals next to others selling produce at the Farm Women’s Market, which opened nearby in 1932. It was created by Robert Gates, who later became head of the Art Department at American University. USPS closed the handsome post office building in 2012 and sold it to Donohue Companies, after which the mural spent 17 months in storage. Bethesda-Chevy Chase Regional Services Center Director Ken Hartman worked with the U.S. Postal Service to have the mural restored. In December 2013 the mural was re-installed in the Regional Services Center at 4805 Edgemoor Lane, where it continues to be enjoyed by the public. 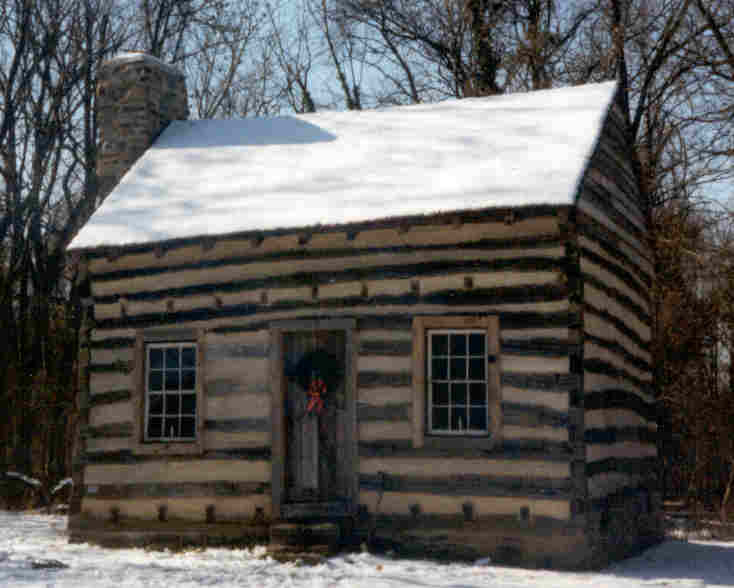 Although the village of Montgomery Court House was granted its first post office in 1794, the function remained in back rooms of local businesses for the next 145 years. Rockville’s first purpose-built, permanent post office was designed in Classical style of limestone and brick, reflective of the 1931 Gray Courthouse nearby. The Moorish look of the exterior opens to a beautiful and functional interior. Fifteen foot ceilings look down on terrazzo floors and walls, the original bulletin boards and brass postal boxes, and bronze grilles. Most striking is the handsome oil-on-canvas mural of Sugarloaf Mountain by Judson Smith, which was sponsored by the Treasury Department’s Fine Arts Section with funds based on one percent of the total construction cost. Local residents at the time were unhappy that the painting depicted Sugarloaf Mountain, sited just outside of Montgomery County. 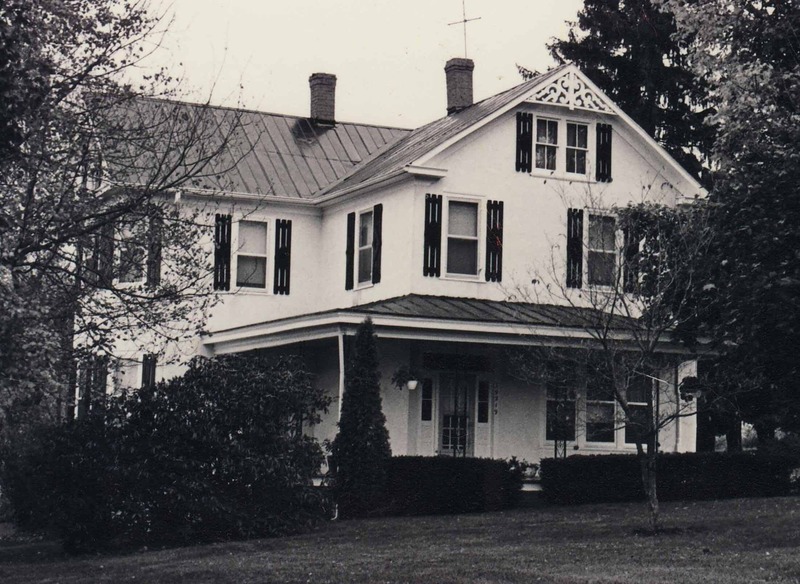 On the National Register of Historic Places and designated by the City of Rockville, ownership of this beloved landmark at 2 West Montgomery Avenue was transferred to the City in 2008. After renovation of the historic building and construction of a new annex, it re-opened in 2012 as the home of the Rockville City Police Department. 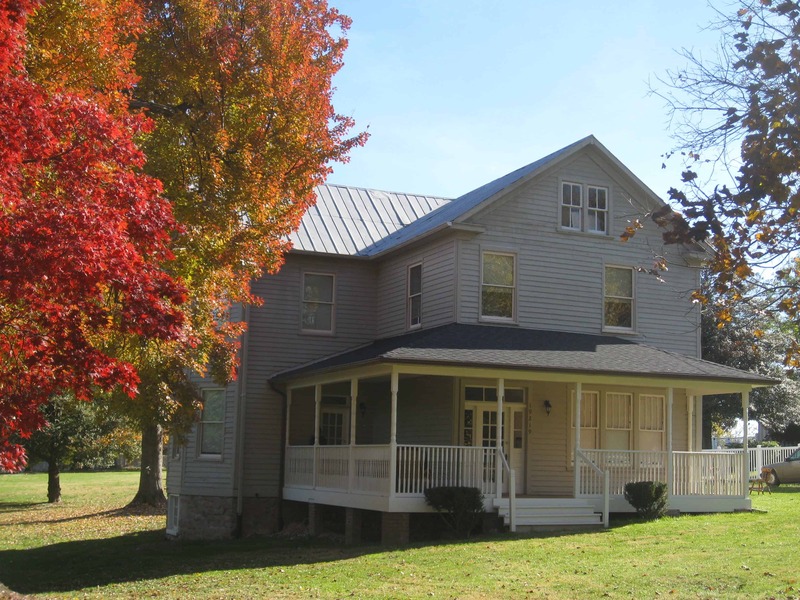 Before and after pictures of the Upton Bowman House, Germantown, an MPI award winner in 2010. 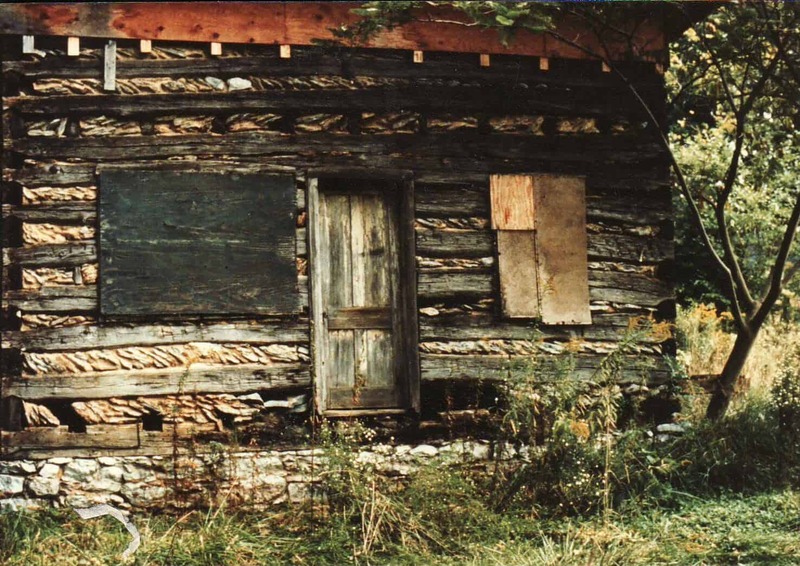 Grusendorf Log House originally on Clopper Road, Germantown, moved and restored to Seneca Creek State Park and now used for interpretive programs.